The Coolfire Mini is the newest version of the smallest box designed by Innokin Technology. With its 1300mAh battery and its 40W power, it is perfect for everyday use with a Zenith 22 type atomizer that has resistors in 0.2ohms, 0.5ohms and 1.5 ohms that allow use over a wide range of power. The Innokin iSub V is certainly the most famous atomizer of the brand, actually, a lot of derivative like the iSub Apex, the iSub, or the iSub G. This atomizer uses resistors available in 0.2, 0.5, 1, 1.2, and 2 ohms, making it a very complete and versatile atomizer. The Endura T20 is Innokin's new All In One, an innovative brand that unveils its new generation of e-cigarettes. It consists of a 1500mAh battery developing a power of 15W on a resistance of 1.5ohms. It comes with the Prism T20 atomizer specifically designed for this model. It's the perfect model for simple, everyday use. 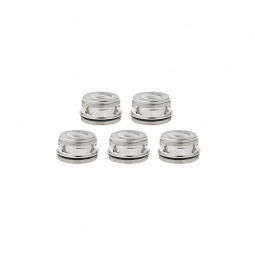 A 2 ml replacement cartridge with integrated 0.5 ohm mesh plexus coil resistor for the EQ Pod by Innokin. A replacement resistor for the Zenith MTL clearomizer from Innokin. The Oceanus is part of the new range of Innokin and is up to expectations. Indeed, this box can develop up to 110 Watt at all to please, it is supplied with two 20700 3000 mAh batteries which offers comfortable size and considerable autonomy. Its 24mm thickness allows the use of almost all types of atomizers, including the Zenith 24 recommended for this box. The Zéntih 22 is the first of the Zénith range released by Innokin in collaboration with the youtuber and specialist of the electronic cigarette since its beginning Mr. Phil Busardo. 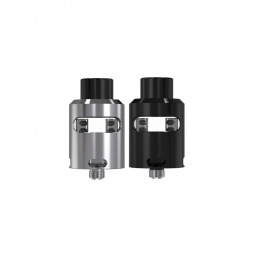 Developed to be a simple and effective atomizer, the Zenith 22 has everything you need. The Zéntih 24 is an atomizer of the Zenith range released by Innokin in collaboration with the youtuber and specialist of the electronic cigarette since its beginning Mr. Phil Busardo. 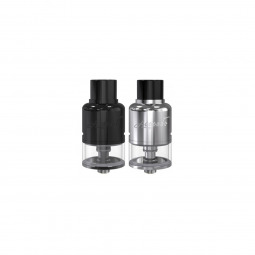 Developed to be a simple and efficient atomizer, the Zenith 24 has everything you need. The XTAR MC2 is a convenient battery charger for transport. Small, easy to carry, provided with a micro USB cable, this charger is charged by USB, you can charge your batteries anywhere. To charge 2 batteries at the same time, do not be out of battery anymore. Titanium Wire is a resistive wire compatible with temperature (TC) settings. With this system, rediscover the flavors of your favorite e-liquids. The Ni80 Wire is a resistive wire compatible with temperature (TC) settings. With this system, rediscover the flavors of your favorite e-liquids. The Ni200 Wire is a resistive wire compatible with temperature (TC) settings. With this system, rediscover the flavors of your favorite e-liquids. Geekvape Kanthal A1 spool for rebuildable atomizers. Geekvape SS316L Reel for Rebuildable Atomizers. The SS316L Fused Clapton is composed of two lines wrapped by another. Charger Micro USB format (universal), also used to charge the smartphone / tablet and other new generation devices. SAMSUNG INR 18650-25R battery of 2500mAh for your mechanical mods in ultra low resistance. Large discharge capacity, up to 35A pulse. Made by Samsung.